Chiltern Day Nursery is committed to providing an inclusive environment that provides equal opportunity and anti-discriminatory practice for all children and adults. At Chiltern Nursery, all children are of equal importance, valuing each child as an individual, with freedom from prejudice, discrimination and stereotyping. Our nursery admissions are open to all children. At Chiltern Day Nursery, we believe that all children have a right to be protected from abuse and neglect. It is our responsibility to protect them as outlined in the Children Act 1989. Our prime concern is for the safety and welfare of the children in our care. Alisha, the nursery manager, is the designated safeguarding lead for child protection within the nursery. She is closely supported by Kristina, deputy manager. 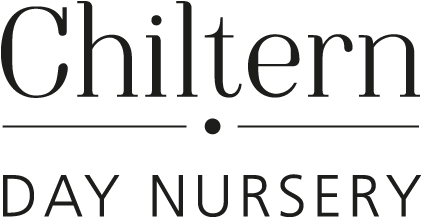 At Chiltern Nursery we aim to provide the highest quality care and education for all our children, thereby giving them a strong foundation for their future learning. We aim to create a safe, secure and happy learning environment that allows our children to grow and develop their confidence and independence. We value all our children and families as individuals. Through working together our staff plan meaningful, motivating and most importantly enjoyable learning experiences that enable our children to grow and develop at their own pace. Should a child be suffering from illness, they should be kept at home until their doctor has certified they are fit to attend nursery, or they have been free of symptoms for 48hrs. If a child becomes ill whilst in our care, we shall make every effort to contact the parents/carer. If we feel necessary, a doctor will be called or the child taken to hospital in an emergency. If for any reason a child is going to absent please inform us as soon as possible. Please be aware that we have a duty of care for not only the children in the nursery, but our staff as well, therefore is we feel that a child is poorly and not well enough to be at nursery, we will ask parents to collect. We are here to give your children the best childcare in your absence. If at any given time, you had a concern regarding your child, a staff member, nursery procedure, the premises, or any suggestions, we hope you would feel comfortable to bring it to our attention immediately. You may speak with the nursery managers or directors to enable us to resolve your issues. Chiltern Nursery : Alisha Blanchard / Kristina Mott Lynton House : Jessica Baker /Chloe Baxter Glaisdale Nursery : Emma Ward / Sherrill Botterill If this doesn’t resolve the problem then a formal complaint should be forward to Ofsted. The address is available on our parents noticeboard. At Chiltern Day Nursery we like to give our children lots of praise and enthusiasm, adopting a positive and consistent management of behaviour. Children are encouraged to always say please and thank you, act in a kind and polite manner, learning to value one and other. If a child behaves in an unsociable or unacceptable manner, we need to show them we are disappointed and unhappy, that they have behaved. This is done in a controlled manner, firm but calm, explaining why we are not happy and how they should behave. At no time do we touch our children when disciplining them. It may be necessary to physically remove a child in an emergency situation. Parents will always be informed when children’s behaviour her been challenging and how it was dealt with; equally, we shall only be too pleased to praise them. N.B Please note these are only a snapshot of our policies, if you would like to see them in full please do ask.